Back to School Donation Drive: Success! 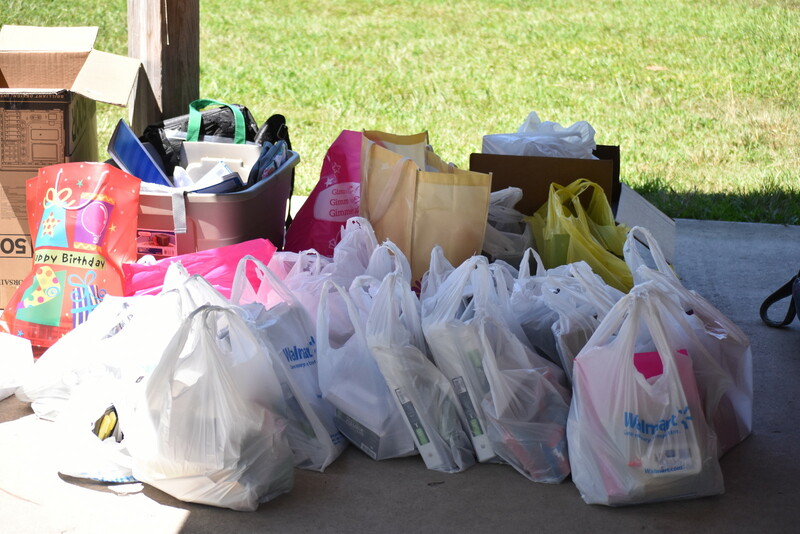 Our second annual back to school donation drive came and went this past Saturday at Mt. Trashmore in Virginia Beach. 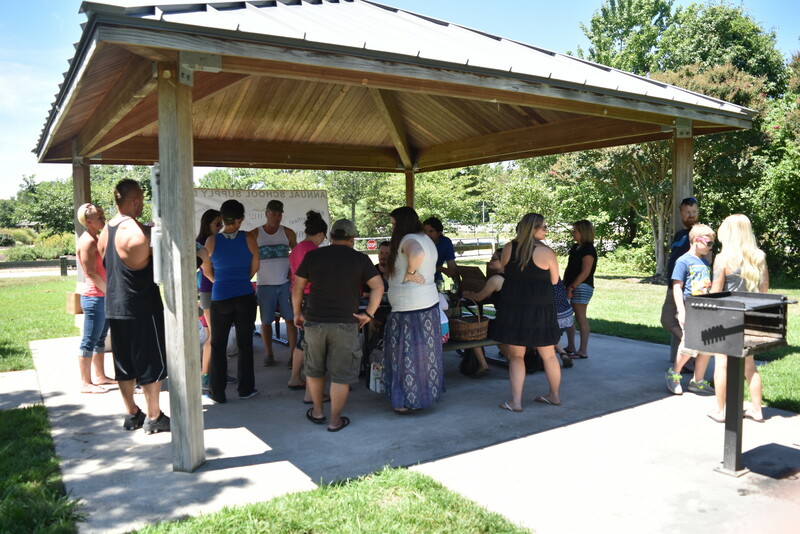 Everyone had a ton of fun and we raised hundreds of dollars worth of school supplies for foster children. A big, big thank you goes out to everyone who donated supplies and raffle items to make the event fun, family friendly, and most of all, a help to foster children. 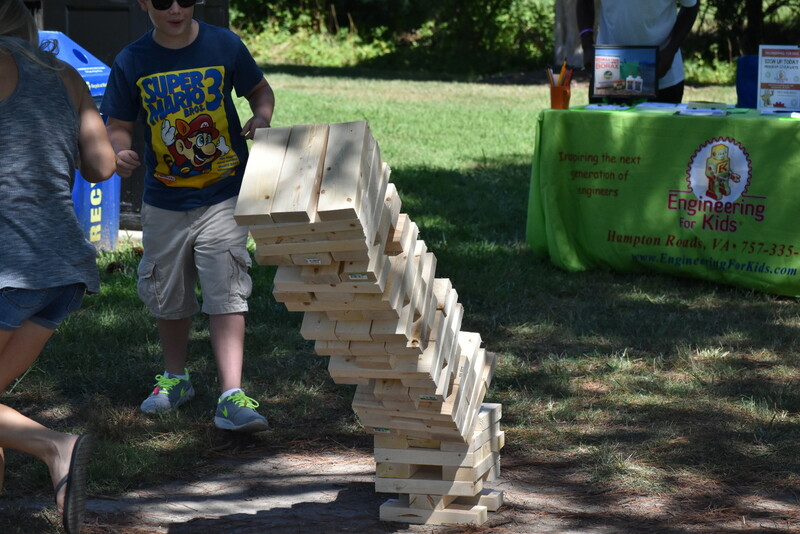 We had Engineering for Kids and UMFS come out to support the event and educate passersby on what they do to help children—they’re both awesome organizations, so we were super happy to have them with us! Our luckiest winner was Allen Fetters—each of his three raffle tickets won him a prize. We also had special prizes for most donations (Patricia Rarick, our founder’s mom, brought over 100 items! She won a free photo shoot with the wonderful Leah Ariel Photography). We had donations of backpacks, notebooks, binders, marker and pen sets, paper, lunch boxes, and many more items. Our awesome raffle prizes included things like Mary Kay bags, a free camp package from Engineering for Kids, a thirty minute massage, puzzles & comic books for kids, and more. But what about that candy? 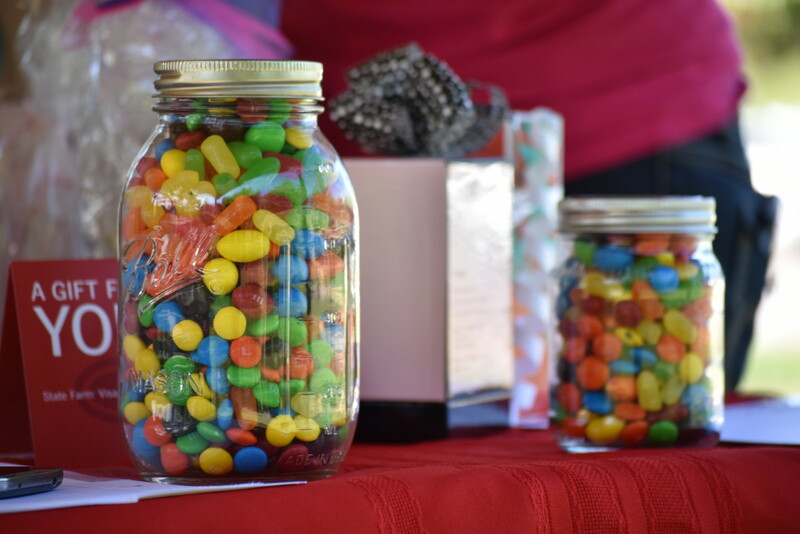 Our Candy Count was entered by nearly everyone at the event, but the closest guess was made by Nikki Moriarty, a local Mary Kay representative. She put down 925 pieces of candy spread across two jars, where the actual total was 912 (we painstakingly counted each piece as they went into the jars). To make it a little harder on everyone, we dropped in three different candies that varied in size. The difference in guesses was also pretty astronomical, with the lowest being in the 250 range and the highest at 1,700. And last but not least, we can’t forget the awesome food provided by Whitner’s Real Pit BBQ! We worked with Whitner’s last year as well, and everyone loved the food, so of course they had to make a triumphant return to the dinner table. All of this to say… make sure you stay tuned for news about next year’s event, as we’re going to keep growing and improving it so that it’s bigger and better each time. So come on out, have a great time, and support a great cause!